Audio plays a huge part when it comes to virtual reality. For this reason, investing in a pair of high-quality headphones for your Gear VR sounds (no pun) like a good idea. This is pretty much the case with any VR headset – good audio makes virtual reality even more immersive, hence significantly improving the overall experience. When it comes to buying the best headphones for Gear VR, firstly you’ll have to decide whether you prefer lightweight Bluetooth headphones (earbuds), or the more robust over-the-ear headphones. If you prefer lightweight wireless headphones, then Bluetooth headphones are the way to go for you. Going wireless also ensures you won’t get all tangled up during your Gear VR sessions. Most of the time you will probably forget that you are even wearing them. Unless you forget to charge them before use, this makes it a sealed deal for most people. 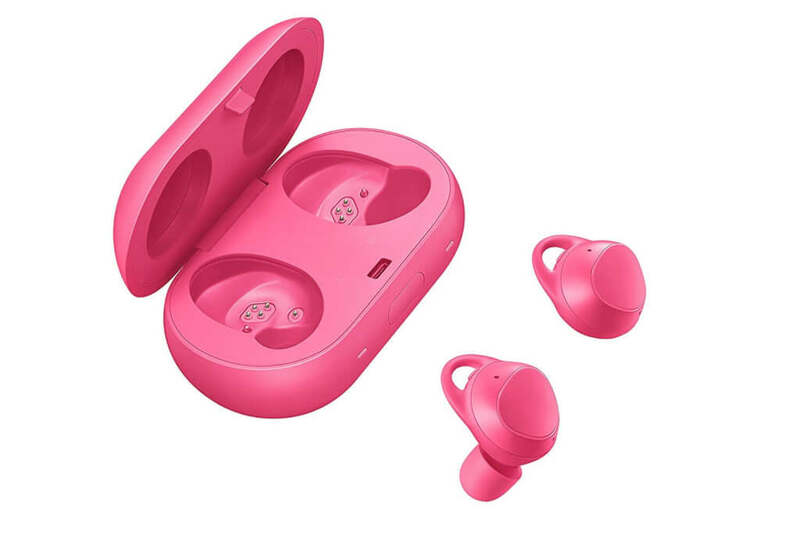 Samsung Gear IconX is designed for people who like to enjoy their music while exercising. They are completely wireless and offer up to 7 hours of battery life. In about 10 minutes of charging time, you gain an hour of battery life, so the earbuds are fully charged in about an hour. However, charging should never be an issue – you just simply put the earbuds in the compact carrying case. Since Samsung Gear IconX headphones are built for fitness, they will remain in place no matter how much you move your head around. They have a 4GB built-in storage, so you can store approximately 1,000 songs on them. The mic is also incorporated, so you can answer calls or give voice commands via Bixby or Google Voice. This is certainly a pair of headphones for Gear VR which you can use in various other situations too. 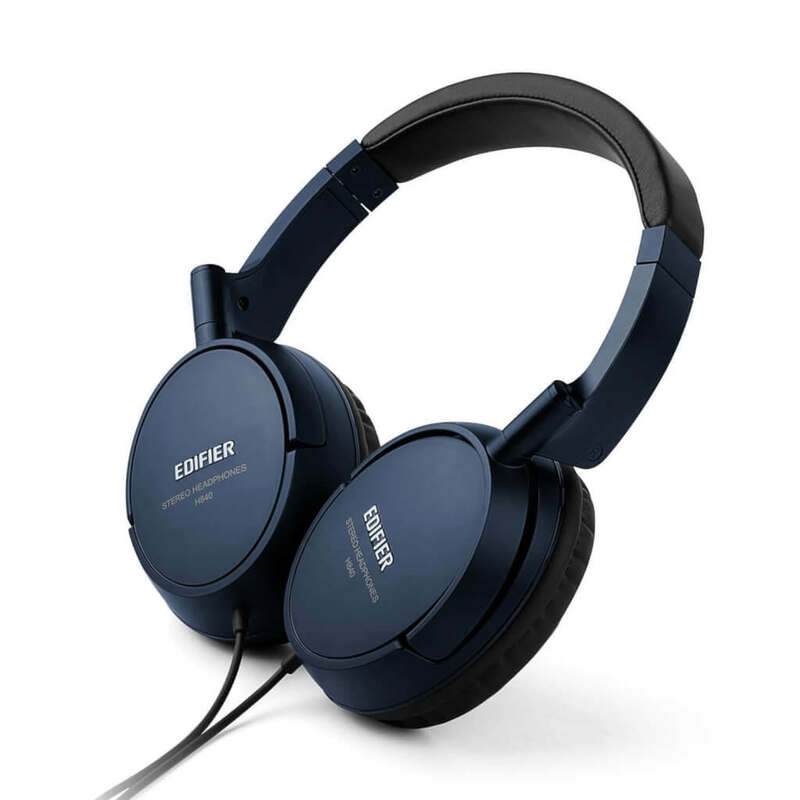 While they are a bit pricey, the sound quality and superb comfort they provide is definitely worth it! This pair of Samsung headphones once again features a sleek design. 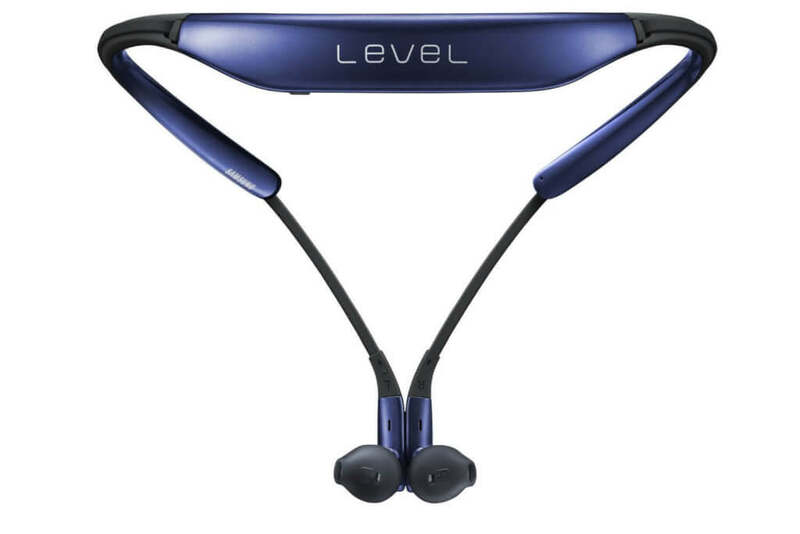 The Level U Wireless Headphones provide a very comfortable fit, suitable for long-term use. Even if you aren’t wearing them at the time, the lightweight, around-the-neck design makes it easy to forget you are carrying them with you. Sound quality is satisfying, but it won’t really blow you away. The bad thing about these headphones is that, due to design, the outside sounds cannot be stopped from leaking in. Additionally, it isn’t really sweat-proof, so if you tend to sweat a lot, the aforementioned Samsung Gear IconX may be a better pick as your headphones for Gear VR. All things considered, the Level U Wireless Headphones are a worthy in-ear headphone option. At a first glance, over-the-ear headphones may not look as they could improve immersion as much as the in-ear solutions. But this isn’t necessarily true, because the over-the-ear design can utilize outside noise-cancelling technology. Bose has been known as the top-dog when it comes to manufacturing high-end wireless headphones. They have established themselves as the market leader in this field. 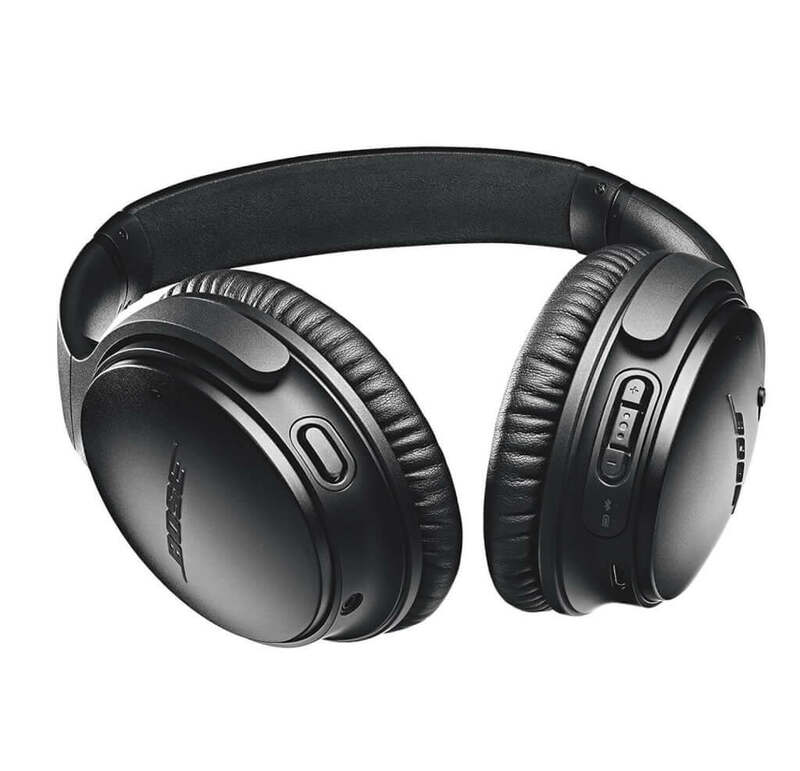 Bose QuietComfort 35 offers top-notch noise cancellation which you can adjust to fit your current needs. Bose QuietComfort 35 aren’t only the best headphones for Gear VR, but possibly on the entire wireless headphones market. The downside, as expected, is the price – it goes over $300 mark. If you don’t want to spend $300+ on a pair of headphones, check out the older version from Bose – QC25. In the end, we have the best headphones for Gear VR runner-up, which provides noise-cancellation, but more importantly, it costs under $50. The H840 provides pristine sound quality and good outside sound blocking. Edifier came up with fairly straight-forward, yet effective design, with emphasis on comfort. Earcups are enclosed, providing full audio isolation from the outside world, hence improving the immersion. The headband is steel reinforced and can accommodate all the sizes, while the headrests are made out of leather. These are the hands down best VRBorg’s picks for Gear VR headphones. There’s something for everyone, so pick your pair and immerse yourself like never before! Next articleWhat are The Best VR Controllers for iPhone?